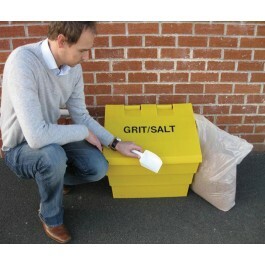 Our Mini Household Grit Bin is small, neat and is ideal for your driveway, patio, garden or path. 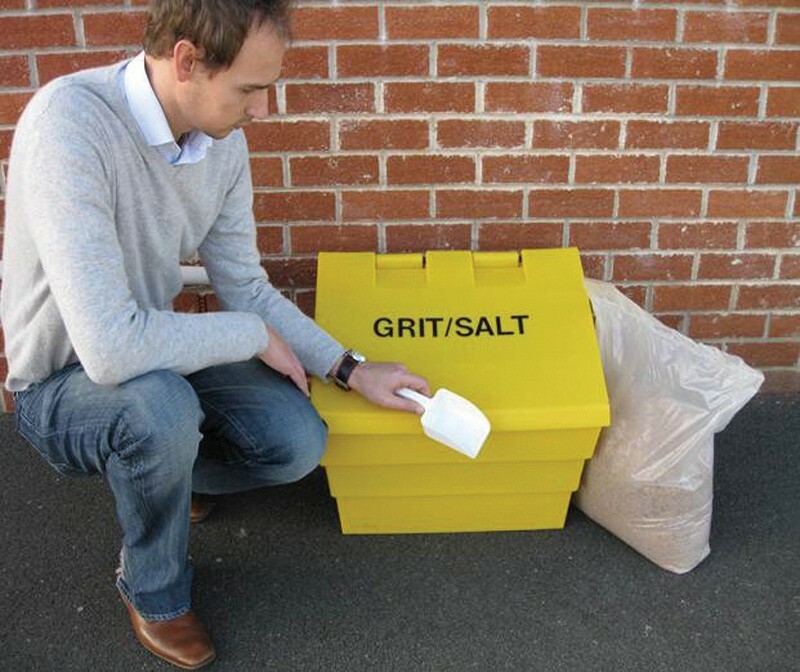 The bin can hold up to 60 Kg of salt and is neat and discreet and can be ordered in a choice of colours to blend in with its surroundings. It enables households to be Self-reliant when the weather is bad and local authority grit levels are running low. The 50 Litre grit or salt container is designed with a wide mouth for easy access to the contents and slim line shape for position flexibility. The Grit bins are made from UV resistant and durable polyethylene that makes a rugged and water tight container for a wide range of contents. Holds approx. 60 Kg of Salt. Bagged crushed rock salt for thawing ice and snow. Ideal for gritting your path, driveway or road. Rock salt helps prevent accidents in winter by quickly de-icing the area surrounding your home or place of work in adverse weather conditions. Tough and Durable Polypropylene scoop. Width- 138mm x Depth 187mm x Length 310mm.